Amin, A 2000, ̒Industrial Districts̕, in E Sheppard & T Barnes (eds), A Companion to Economic Geography, Ox-ford, Blackwell, pp. 149-168. Becattini, G 1990, ̒The Marshallian Industrial District as a socio-economic notion̕, in F Pike, G Becattini & W Sen-genberger (eds), Industrial Districts and Inter-firm Coop-eration in Italy, International Institute for Labor Studies, Geneva. Brenner, T 2004, Local Industrial Cluster Existence, Emer-gence and Evolution, Routledge, London, 243 p.
Brusco, S 1986, ̒Small Firms and Industrial Districts: the experience of Italy̕, in D Keeble & E Wever (eds), New Firms and Regional Development in Europe, Croom Holm, London. Brusco, S 1990, ̒The Idea of the Industrial District: its gene-sis̕, in F Pyke, G Becattini & W Sengenberger (eds), Indus-trial Districts and Inter-firm Cooperation in Italy, Interna-tional Institute for Labor Studies, Geneva. Camagni, R 1991, ̒Local “milieu”, uncertainty and innovation network: towards a new dynamic theory of economic space̕, in R Camagni (ed), Innovation Network: Spatial Perspectives, Belhaven Press, London. Constantin, F, de Giusti, G & Tattara, G 2006, ̒Il decen-tramento produtivo in Romania in tre distretti del Nord-Est̕, Studi sull”Economia Veneta, 5, pp. 1-23. Cuc, S & Tripa, S 2006, ̒Clustere în industria de textile, confecţii şi pielărie din România̕, Analele Universitatii din Oradea. de Arcangelis, G, Ferri, G & Padoan, PC 2003, Firms’ Clus-tering and SEE Export Performance. Lessons from the Italian Experience, Working Paper, University of Rome. European Commission 2001-2004, “West-East Industrial Districts”(WEID), 5th Framework Program, European Un-ion. Ferrari, RM 1999, Small Enterprise Clusters for Local Devel-opment in Transition Context: the Case of Romania, Boc-coni University, Milan. Feser, E & Bergman, E 1999, National Industry Cluster Tem-plates: A Framework for Applied Regional Cluster Analysis, Regional Studies. Guth, M & Cosnita, D 2010, ̒Clusters and Potential Clusters in Romania. A Mapping Exercise̕, Report, 53 p.
INTERREG IIIB – CADSES 2003-2004, Industrial Cluster Development (INCLUD). Isbasoiu, GM 2006, ̒Industrial Clusters and Regional Devel-opment. The Case of Timişoara and Montebelluna̕, MPRA, 32 p.
Ketels, C, Lindqvist, G & Solvell, O 2006, ̒Cluster Inititatives in Developing and Transition Economies̕, Center for Strategy and Competitiveness, Stockholm, 42 p.
Krugman, P 1991, Geography and Trade, MIT Press, Cam-bridge, Ma. Majocchi, A 2000, Are Industrial Clusters Going Interna-tional? The Case of Italian SMEs in Romania, Working Paper no. 12, Insubria University, Faculty of Economics. Mariotti, J & Montagnana, S 2008, ̒Italian Investments in the Agglomeration of Timişoara in Romania: Threat and Opportunity for the Economic Development̕, Romanian Journal of Regional Science, 2, pp. 33-59. Mariotti, S & Mutinelli, M 2006, Italia Multinazionale 2005, Soveria Manelli, Rubetino Editore. Markusen, A 1996, ̒Stick places in slippery space: a typology of industrial districts̕, Economic Geography, pp. 293-313. Marshall, A 1890, Principles of Economics, Macmillan, Lon-don. Montagnana, S 2005, Delocalization and Economic Devel-opment: Is Timişoara a Cluster? A Preliminary Study of the Footwear Industry, paper presented at the Micro and Macro Dynamics in the Development Process Seminar, Varese, Italy. Nuti, F 1990, I Distretti Manifatturiera, University of Bolo-gna, Department of Economics, report for the CNR Study on Sistema delle Imprese. OECD LEED 2004, Cluster of Enterprises and the Interna-tionalisation of SMEs: the case of the Romanian Region of Timişoara, Summary Report of the Seminar held by the OECD Local Economic and Employment Development, Timişoara, 24 May, 18 p.
Paslaru, D 2004, Catre o politica industriala bazata pe aglomerari economice competitive – Cluster (II), Identifi-carea clusterelor emergente in Romania, Grupul de Econ-omie Aplicata, 10 p.
Piore, M & Sabel, C 1984, The Second Industrial Divide: Possibilities for Prosperity, Basic Books, New York. Popescu, C 2006, ̒Industrial Restructuring, in Romania̕, in Romania. Space, society, environment, Romanian Acade-my, Institute of Geography, The Publishing House of the Romanian Academy, pp. 236-257. 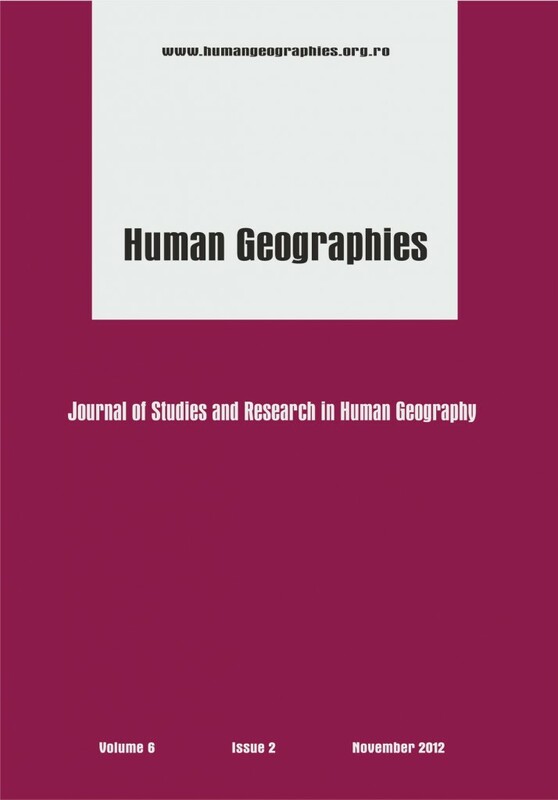 Popescu, C 2010, ̒Industrial Clusters and Regional Devel-opment in Romania̕, Human Geographies – Journal of Studies and Research in Human Geography, vol. 4, issue 2, pp. 17-34. Porter, M 1998, Clusters and the New Economics of Competition, Harvard Business Review, Boston. Primăria Timişoara 2008, ̒Concept Strategic de Dezvoltare economică şi socială a zonei Timişoara, 2000-2007̕, Eval-uarea gradului de implementare, 223 p.
Primăria Timişoara 2008, Starea economică, socială şi de mediu a municipiului Timişoara, 169 p.
Pyke, F & Sengenberger, W 1992, Industrial Districts and Local Economic Regeneration, International Institute for Labor Studies, Geneva. Rey, G 1989, ̒Profile and Analysis, 1981-85̕, in E Goodman & J Bamford (eds), Small Firms and Industrial Districts in Italy, Routledge, London, pp. 69-93. Rogerson, CM 1993, ̒Industrial Districts. Italian Experience̕, South African Policy Issues, Urban Forum, 4, 2, pp. 37-53. Rosenfelt, SA 2002, ̒Creating Smart Systems. Guide to Clus-ter Strategies in Less Favored Regions̕, European Union – Regional Innovation Strategies, 36 p.
Sammarra, A & Belussi, F 2006, Evolution and Relocation in Fashion-led Industrial Districts, Evidence from two case studies, Working Paper no. 23, University of Padua. Saxenian, AJ 1994, Regional Advantage: Culture and Compe-tition in Silicon Valley and Route 128, Harvard University Press. Sforzi, F 1990, ̒The Quantitative Importance of Marshallian Industrial Districts in the Italian Economy̕, in F Pike, G Becattini & W Sengenberger (eds), Industrial Districts and Inter-firm Cooperation in Italy, International Institute for Labor Studies, Geneva, pp. 75-107. This post has already been read 2598 times!